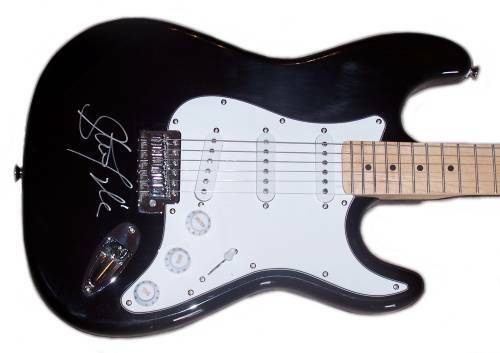 A black electric guitar signed by Steven Tyler of Aerosmith. Comes with a Certificate of Authenticity. Steven Tyler is an American singer, songwriter, and multi-instrumentalist, best known as the frontman and lead singer of the Boston-based rock band Aerosmith. He is known as the "Demon of Screamin'" due to his high screams and his wide vocal range. In the 1970s, Tyler rose to prominence as the frontman of Aerosmith, which released such milestone hard rock albums as Toys in the Attic and Rocks. In the late 1970s and early 1980s, Tyler had a heavy drug and alcohol addiction, and the band's popularity waned. After Aerosmith launched a remarkable comeback in the late 1980s and early 1990s with the albums Permanent Vacation, Pump, and Get a Grip, Tyler became a household name and has remained a relevant rock icon. 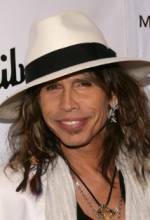 In 2001 he was inducted into the Rock and Roll Hall of Fame with Aerosmith. ~ Wikipedia.